Nankatais are Indian biscuits prepared with Maida and vegetable shortening. The base recipe is TC's Nankatai, but I did not add almonds and saffron in my recipe. 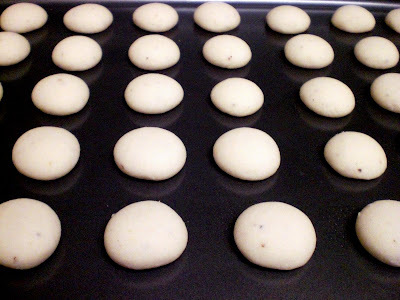 Here is the simple recipe for Nankatai (Indian cookie). Grind the sugar and transfer it to a large mixing bowl. Add the vegetable shortening and cream the mixture using an electric hand mixer. When the content becomes creamy and light add the cardamom powder and flour and mix well, using your hand. The consistency should be soft and at the same time you should be able to make balls out of it. 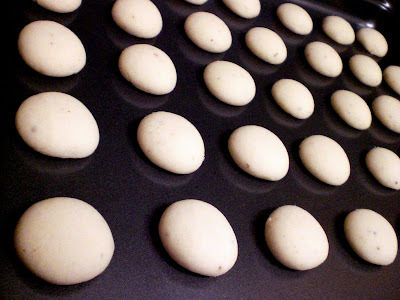 Make small balls out of the dough and arrange neatly in a non stick cookie tray. Press a little on top of each ball. You can use a fork to dent lines on the top. Place in the preheated oven and bake for approximately six to seven minutes and take the tray out. Allow it to cool completely in the same tray. Note: More flour will make the nankatais more crunchy and they crack when baked. More shortening will make the nankatais more fragile and will break when touched. Perfect nankatais are not too crunchy and do not break when touched and has a light golden color in the bottom. Perfect Nankattai's Mythreyee..and also a usefull note at the end. Wow...these looks very authentic and delicious!!! Do u think I can use Crisco shortening for these? Will the measurements change? Homecooked: Yes, you can use the crisco shortening. Measurements don't change. While mixing the flour, take into account the 'Note' I have included at the end. Thanks. Oye Chef, the nankatais were delicious! Can I use butter instead of shortening? I am just a little wary of using shortening. TC: I love the recipe. Thanks! Sreelu: Thanks! it's very easy to prepare these cookies. Give it a shot. nags: Thanks! ya, my avva used to make butter cookies using sand oven those days. AKay: You can do cookies with butter as well. Try the tutti frutti cookies (that I have posted earlier) in which I have used oil instead of butter. The cookies come out so well. Looks good, M.....I love to snack on these. mythreyee these nankhatais look awesome! I love reipes with just a handful of ingredients. so mouth-watering. love the picture too with all the nankatais lined up to be eaten. Lovely! Looks perfect without crack. Thanks for the note. smn: My favorite too. Irresistible. tbc: I too like recipes with just few ingredients. This is the base recipe, you can enhance it with more nuts and saffron. 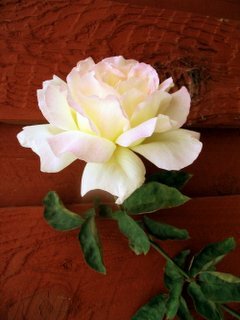 Hi, first time on your blog, nice recipes. Wowww I remembered the nankatai that you prepared for us !! this recipe is really good. but instead of vegetable shortening( didnt haveany) I used ghee.it came out really well.My friends just loved it .Thanks a lot for this recipe :-). but I am trying today only. hi mythreyee.. wonderful recipe! but i have a doubt .. should we use a pinch of baking powder to it or is that not necessary ? Actually, for nankatai (this recipe) no need to use baking powder. I tried today & it was amazing.